Dental emergencies can be sudden and frightening – what’s worse is that they always seem to happen at the most inconvenient times possible for patients and their families. If you’re experiencing a severe oral injury and/or pain and are located in the greater Long Island City area, don’t hesitate to contact LIC Dental Associates. We make time for urgent care as soon as possible. With a team of highly qualified dentists standing by, even specialty care is never far away when you need it most. Why Choose LIC Dental Associates for Emergency Dentistry? Fractured teeth, dislodged teeth, knocked-out teeth – all of these situations can happen in the space between one second and the next, leading to panic. Here in Long Island City, we strongly encourage you and your family to remain calm. There is typically only a narrow window of time to rescue teeth in these dire situations, so please don’t hesitate to contact us immediately for further instructions. Using a cold compress can help reduce any facial swelling that occurs in the interim; additionally, if a tooth has been entirely lost, try to place it back into its original socket or hold it in a container of milk in order to keep it moist. If you are experiencing significant sensitivity and/or outright pain in a specific tooth with no outward injuries, it’s likely that there’s an infection taking place beneath the enamel. AT LIC Dental Associates, we strongly recommend that patients contact us as soon as possible with these types of symptoms – our skilled dentists may be capable of revitalizing the tooth’s health with root canal therapy. In some cases, prolonged oral discomfort may be caused by a food particle or piece of foreign debris becoming lodged in the mouth. To rule out this possibility, you can floss and rinse the mouth thoroughly, paying particular attention to the spot where the pain seems to be coming from. If symptoms persist, please let us know. 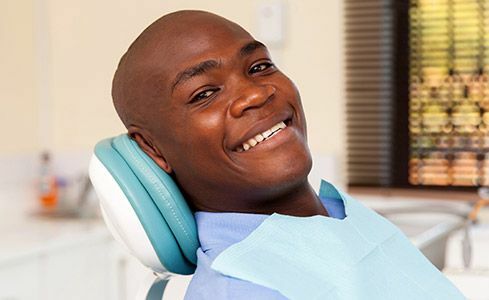 At LIC Dental Associates, we take pride in bringing the specialists to our patients instead of the other way around. Dr. Ishwinder Saran leads a team of outstanding dental experts here in Long Island City, and their collaborative approach is ideal for dental emergency situations. Better yet, we have the ability to accommodate urgent care fast instead of requiring callers to wait days or weeks for the relief they desperately need. If you contact us in the morning, there is a very good chance that we will be able to welcome you into the practice by the end of the day. Root canal therapy may have a “scary” reputation, but truthfully, this procedure can be a saving grace for patients with advanced dental infections. 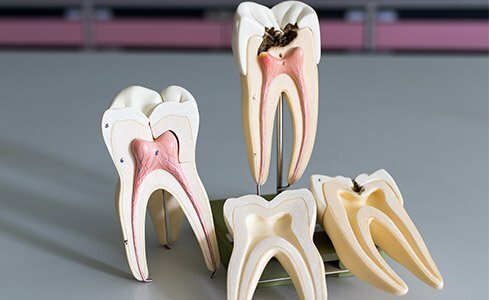 Our dentists will carefully access the affected tooth’s inner chamber with special instruments and remove diseased pulp and bacteria from within, replacing it with a safe, biocompatible substitute. This procedure has a success rate of over 95%, and many treated teeth are able to remain safely in patients’ smiles for years to come. Extracting one or more natural teeth is never an ideal outcome for our doctors – we strive to preserve healthy dental structure whenever possible for each valued patient. However, there are situations where this approach is best for your health and safety, such as when advanced tooth decay or a traumatic injury has occurred. Rest assured that we will handle this procedure as smoothly as possible, providing sedation dentistry when necessary to help the patient feel genuinely at ease. 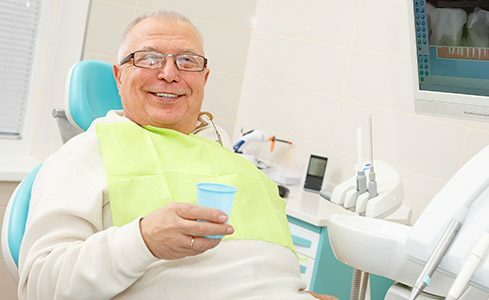 If the extracted tooth or teeth require replacement, our experts can start this process immediately so that any time spent without a complete, confident smile is very minimal.